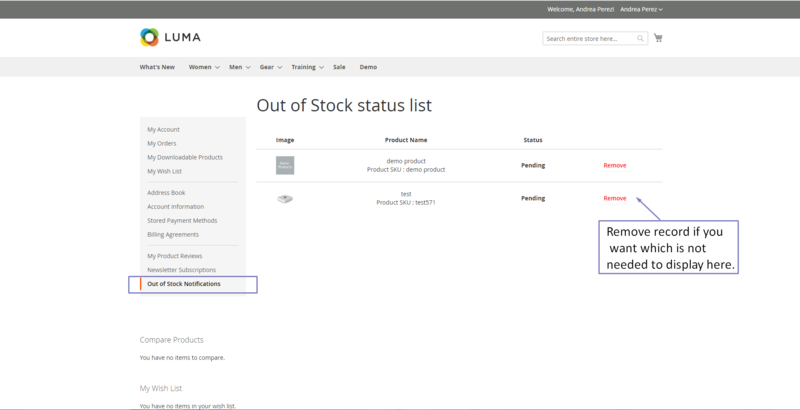 If any products are in out of stock there is required to enter customer email id to subscribe for stock notification, after stock status changed from Out-of-stock to an In-Stock extension will automatically send the mail. 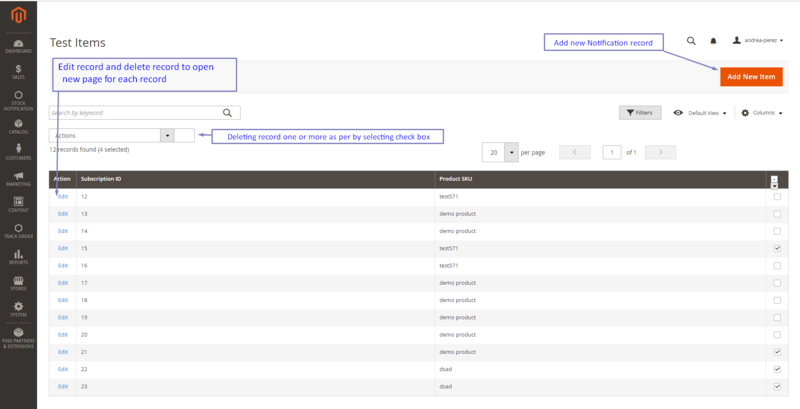 This extension will interact with customer‘s choice of in web store that how much product they really like it. The main pillar of this extension is that gives the nonfiction mail for a user where they subscribe for their product when it is in Out-of-stock. 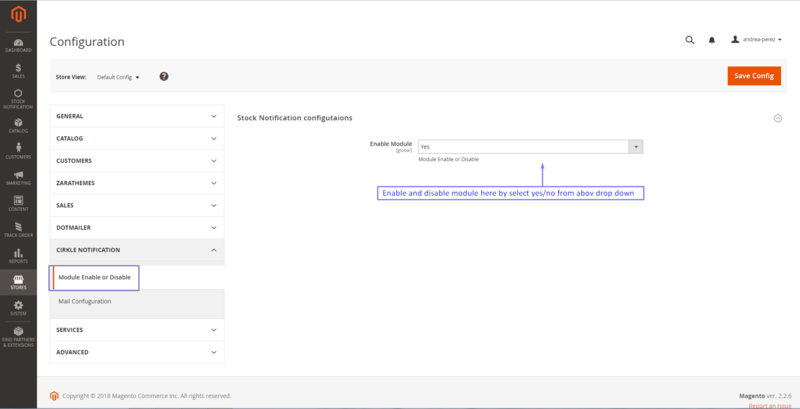 No need to search again and again for a particular product that is changed status is In-stock, so user saves their time. The customer can easily watch their all product list which is they already subscribe and list of its display in the customer account. It will save the user time to check multiple times in store for user’s favorite product which is In-stock or not. 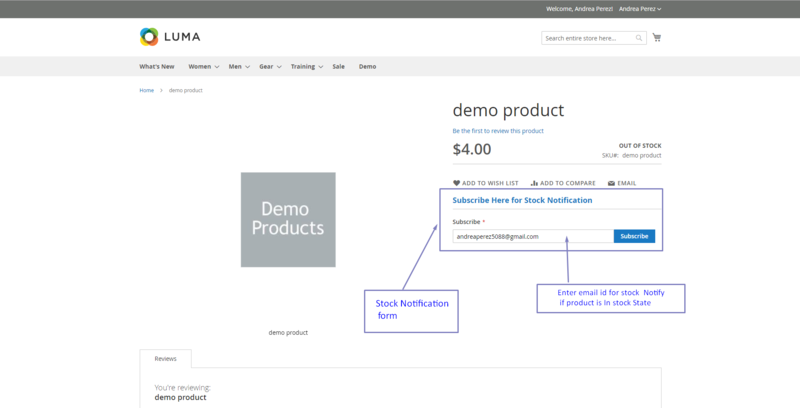 Send mail notification to the customer while a product is In-stock. The customer gets direct their product link which was they wants to buy. 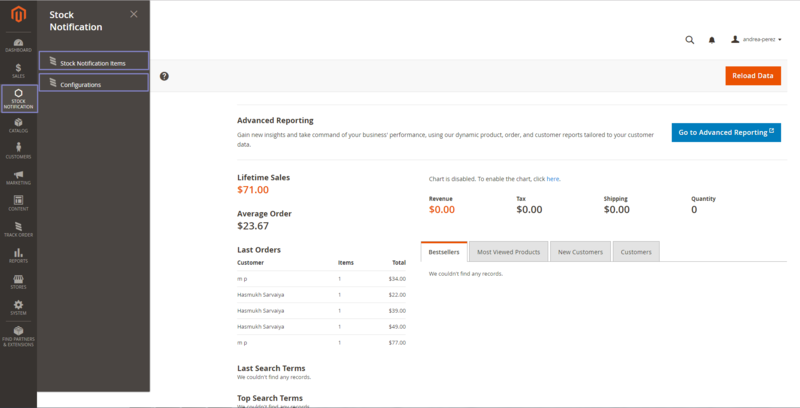 Stock subscription field on product view page is a simple best user interface attractive. Register/Guest both type of user can subscribe for stock notification. The simple flow of extension to understanding and installations too. Display all subscribe products which were you already subscribe on customer account page. If you want to remove a record of product subscribe on customer account page just click on remove link. 1. Unzip extension zip in to app => code directory. 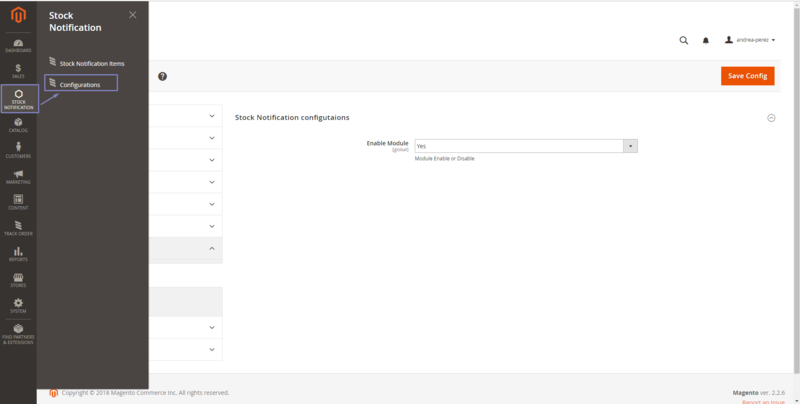 Stock Notification Item (In this menu showing list of subscription list you can add, delete and edit it). 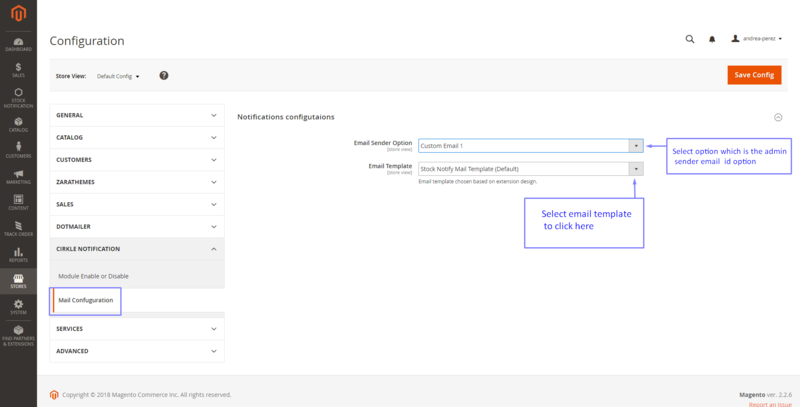 Configurations (these fields contain extension setting enable/disable, Email sender option and mail template select).